BIG BEAR FAMILY REUNIONS,BIG BEAR COMPANY RETREATS,BIG BEAR GROUP LODGING "BIG BEAR FAMILY REUNIONS,BIG BEAR COMPANY RETREATS,BIG BEAR GROUP LODGING"
Golden Bear Cottages is a family friendly AAA approved resort is nestled among historic big pines on five scenic acres in Big Bear Lake, CA. Retreat and big cabin group lodging facilities for adults and children include a big beautiful heated pool and spa, sand lot volleyball, ping pong, horseshoes, basketball, shuffleboard, and a large play area for children. We feature barbecues and picnic areas for each cottage, Big Bear's big group cabins and group picnic areas for up to 200 guests. Indoor meeting area too. Only one block from the lake with great fishing and boating, and about a mile from quaint village shops. Golden Bear Cottages is located on Big Bear Blvd, 3 blocks past Boulder Bay and just minutes away from Big Bear's ski resorts, Bear Mountain and Snow Summit. 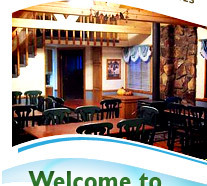 Big Bear's closest family friendly lodging resort to Snow Valley as well. Golden Bear Cottages is a AAA approved, Diamond rated four season resort, with retreat meeting space and conference group lodging services. Best Big Bear big cabins for rent. Perfect for family vacations, reunions, groups and weddings. We are bi-linguel too, hablamos Espanol. BBB and Chamber of Commerce Top Rated Big Bear Lake family friendly Lodging. Visit our office and gift shop to view our wide selection of exciting videos for rent, board games, karaoke machines, snacks, drinks, firewood and mountain gifts. Free secure wireless Internet for all our guests. Don't forget, unlike private vacation rentals, your pets are welcome in our clean specially designated pet friendly cabins only with full amenities, big fresh towels, linens and daily maid service! 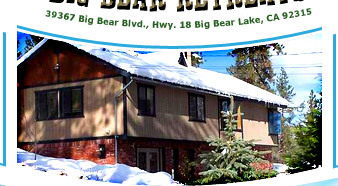 Big Bear's big group cabins at Golden Bear are AAA approved. Top rated Christian family resorts, Christian mountain resorts, Christian big cabin group retreats, Christian family reunions, Christian family vacations, Christian spiritual retreats, Southern California Resorts, California Family mountain Resort, Family Resort Vacations. Big Bear Group Vacation Rental Cabins - Best big retreat center for AAA rustic mountain lodging. Southern California Tour Bus Group Resort Destination with mountain accommodations from 20 to 200 guests at Golden Bear Cottages AAA approved historic big mountain resort. 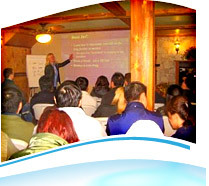 Golden Bear Cottages resort is the best place for retreat lodging accommodations in Big Bear Lake. Group Vacation Rental Cabins close to the Lake and Village! Sleep 20,30,40,50, up to 200. We host religious groups, family reunions, student retreats, weddings, team and business meetings! 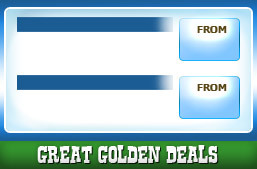 Boating & boat rental Specials. Read what our guest have to say about their stay. "“Amazing Peacful Kid Friendly” Top Review - NEW... Posted on Google and Trip Advisor. The staff at..."